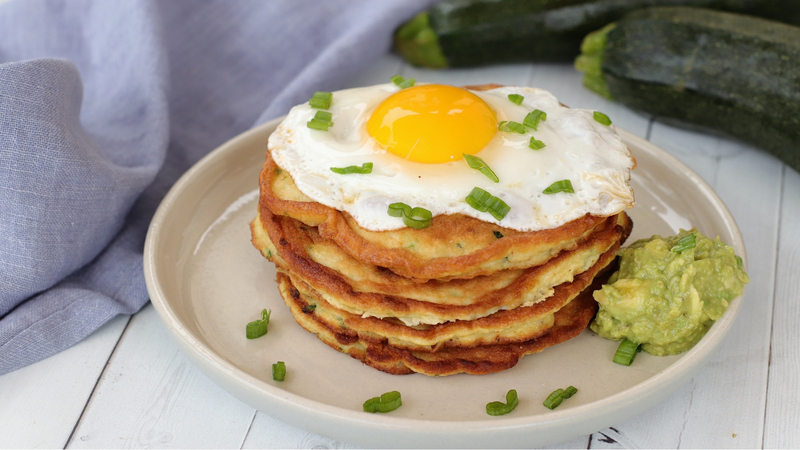 Why would we put zucchini in pancakes, you ask? The same reason bakers put it in breads and cakes. Zucchini has a ton of moisture, so it totally works in baked goods, keeping things from getting dry, with no detectable flavor. 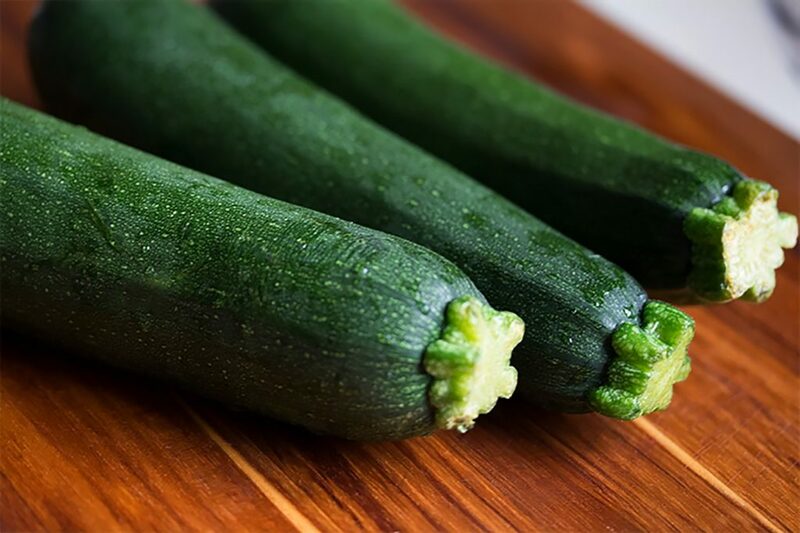 Be sure you read your recipes because some call for the zucchini to be squeezed dry, while other skip this step, relying on the higher water content to boost moisture. Our recipe uses the chef hack of sprinkling your veggie with salt to draw out even more moisture. Don’t worry, you’re still getting some, along with all the vitamins and fiber that make this veggie a kitchen staple. Zucchini is high in potassium, which lessens the harmful effects of salt on your body. Upping potassium while reducing sodium helps protect against strokes and heart disease. Zucchini is also high in vitamin C (a powerful antioxidant), which helps lower blood pressure, protecting against clogged arteries. So don’t just saute and zoodle your zucchini, give it a try grated and squeezed in your next treat. Grate zucchini over a clean tea towel. Sprinkle with salt and set aside while preparing the pancakes. Whisk 4 eggs with the milk. Whisk in the coconut flour, baking powder, green onion, garlic powder and salt. Squeeze the zucchini to release its liquid. Add to the batter and stir. Heat a large skillet over medium. Add half of the oil, then form two large pancakes using about ⅓-cup batter. Cook, undisturbed for 2 to 3 minutes, or until the edges are firm. Flip, and cook 1 to 2 minutes, until cooked through, turning down heat a touch, if needed. Repeat once more with oil and batter so that you have 4 pancakes. In the same pan, crack the remaining 4 eggs and cook sunny side up. Place one egg atop each pancake, divide the mashed avocado, and serve.